Diamond Details: 10 Round brilliant cut white diamonds, of F color, VS2 clarity, of excellent cut and brilliance, weighing .33 carat total. Ring Details: 14k white gold with a satin frost finished and high polished edge. Measurements: This ring is 8mm wide. Please specify your ring size during checkout. 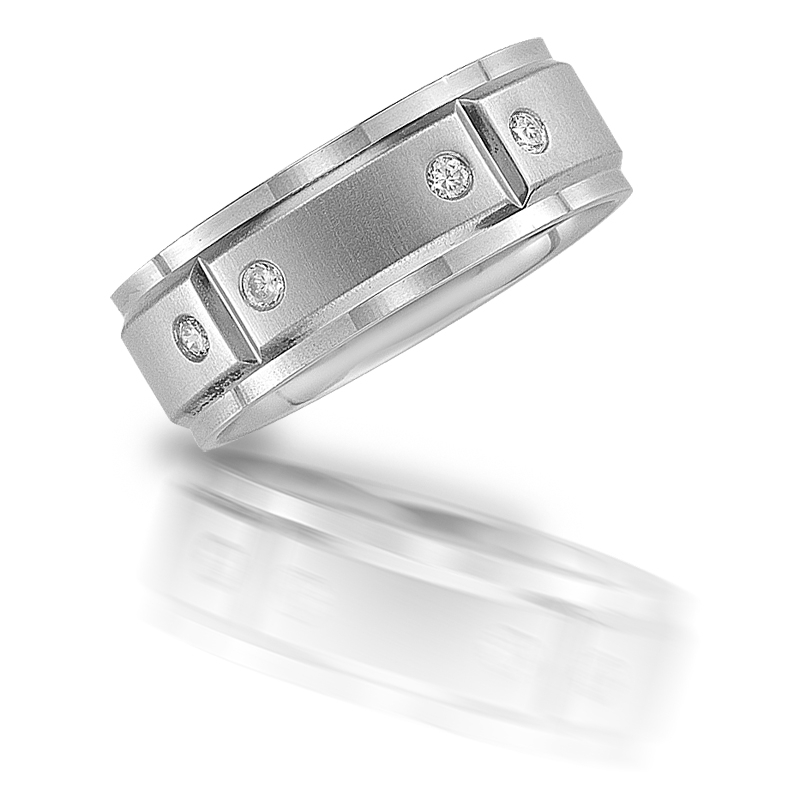 This elegant men's 14k white gold wedding band ring, features 10 round brilliant cut white diamonds, of F color, VS2 clarity, of excellent cut and brilliance, weighing .33 carat total with a satin frost finished and high polished edge. A symbolic expression of your everlasting love!